Wondering how FunnelMaker stacks up against the competition? 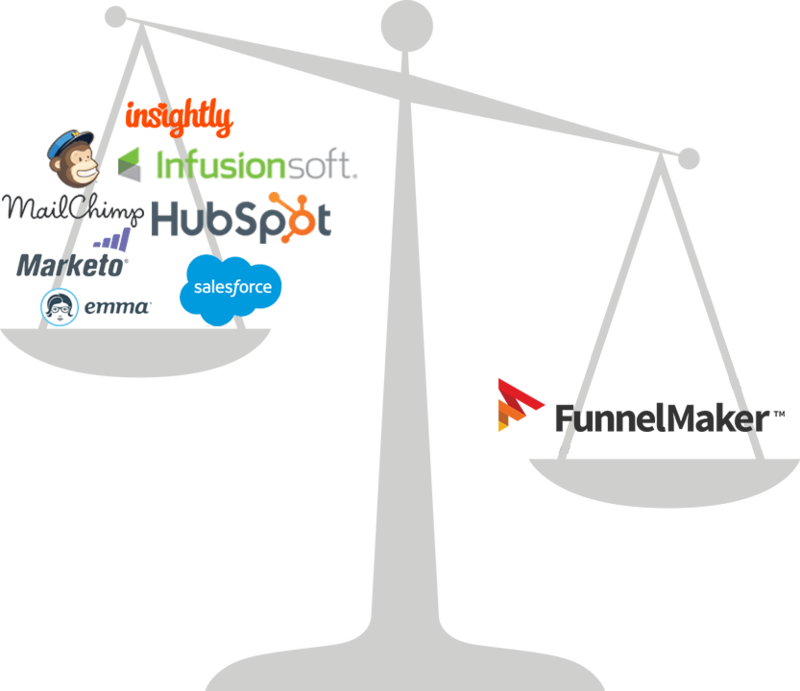 Take a look at these comparisons and find out why FunnelMaker is the best choice for your CRM and marketing automation. We understand that CRM and marketing automation is not one size fits all, but at FunnelMaker, we have all of the tools you need for your sales, marketing, and operations. Don't spend time and money trying to piece together pricey software. FunnelMaker's integrated solution saves you time, money and gives you the power to create exceptional customer experiences. Try FunnelMaker today. FunnelMaker © 2011-2018. All rights reserved. Please provide your contact information so we can schedule a live demo of the Funnelmaker software. Be sure to enter a valid email address! For security purposes, please type the letters and numbers you see below.